This morning I awoke to a world that looked a lot like a Japanese woodblock print. You know the ones, contoured drawings washed in delicate neutral tones with accents of blue or red, showing hillside villages covered in a blanket of white. People, if they're depicted at all, are tiny details in the larger landscape, usually bent over in the cold. Having dogs, of course, I had to get them outside first thing, so I bundled up in my big coat and boots, stuffing as many extra layers underneath as I could. 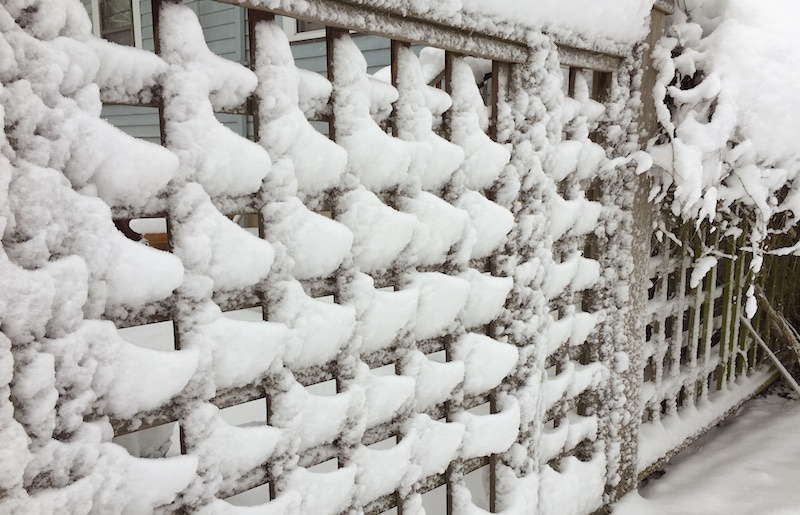 Being dogs, of course, they bounded out in just their fur coats and, being Corgis, they sank up to their necks in the 10 or 12 inches of fluffy snow that had fallen overnight. 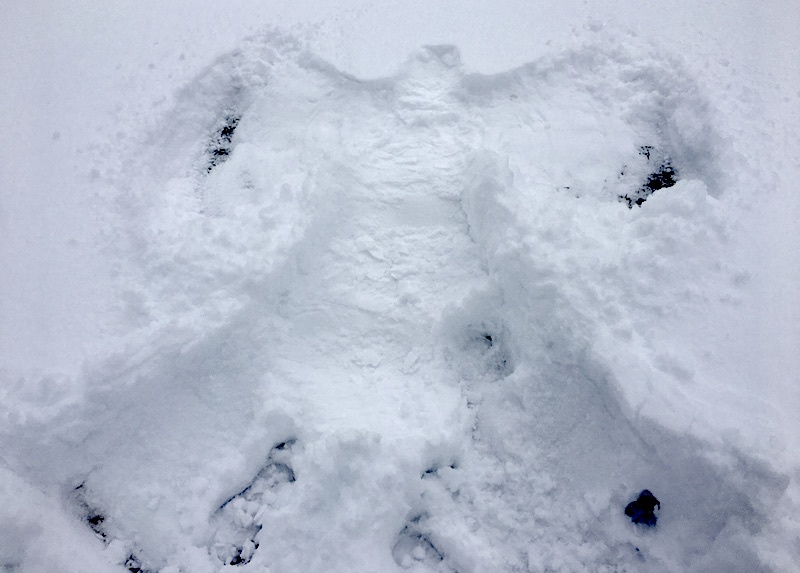 A snow angel? Of course! Fortunately we hadn't lost power like many other residents of the city, so we had coffee and hot chocolate and oatmeal to fortify us for the day. Pretty soon we'll curl up on the couch with the pups and watch a few episodes of "The Crown," a costume drama about the early days of Queen Elizabeth II that somehow matches perfectly with snowy days, with its muted colors and somber tone. At some point we'll put on a kettle to make hot toddies, our new favorite winter's drink. 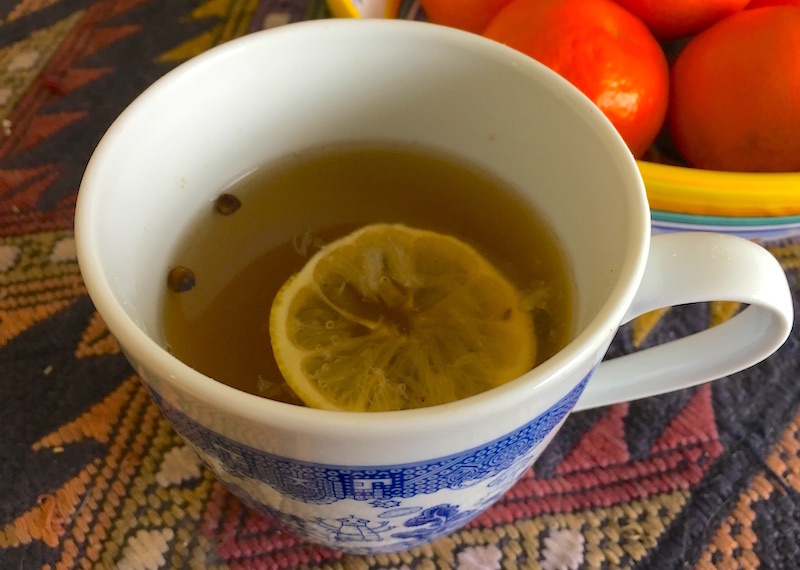 This one, a simple concoction of hot water, lemon, honey and whiskey with warming spices, was one that our neighbors made for us one icy night a couple of weeks ago. It's become a go-to recipe, so easy that after making it once or twice it doesn't even require measuring. 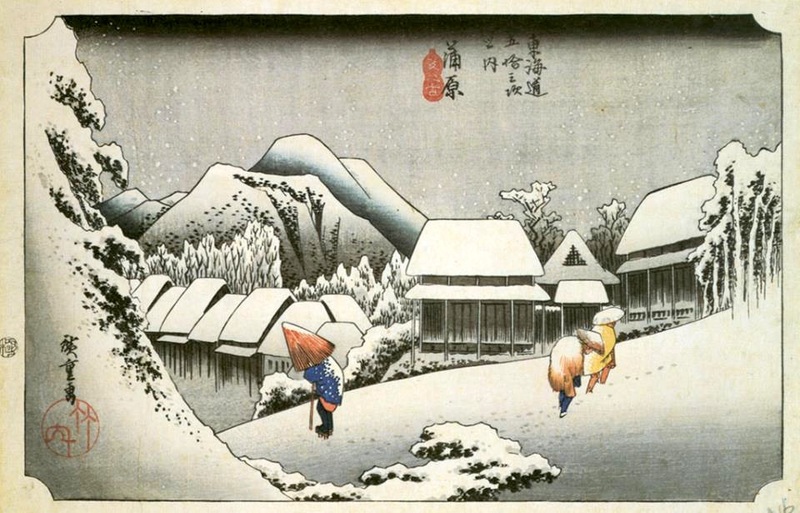 I'd like to think that those tiny figures in the snowy Japanese landscapes were heading home to something like this.